6 reasons to choose Magicdust for your business logo design. 1. Who’s counting? : We design logos with unlimited amendments until your 100% in happy with the result. We call this our happiness guarantee. 2. Professional Approach: Our logo designers are supervised by a Senior Art Director and our Creative Director to ensure quality control and that the design standard is of the highest quality! 3. 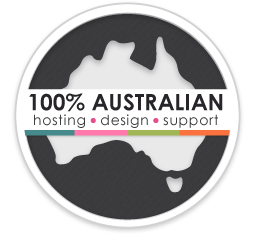 Affordable: Our professional approach is not going to cost the earth, our logo designs are very affordable. Compared with the cost of cheap template logo designs, our custom designed logos are excellent value. You’ll also have your own dedicated logo designer for the length of your project. 4. Depth of Experience: We have over 4100 clients, so our designers have all worked with a huge variety of businesses and well known brands. Your local designer is most unlikely to match our experience, even large design agencies would be unlikely to match the diversity of clients we have! 5. Creativity: We’re routinely described as clever, cool, original, gifted and understanding. We have great logo designers who live for art and graphic design. 6. Reputation: We are proud of the praise we receive from our happy clients all over Australia and also at being recommended by them to others. 1. First we send you a logo design brief. This is a questionnaire that you fill out, answering questions relating to your business and ideas regarding your logo design. 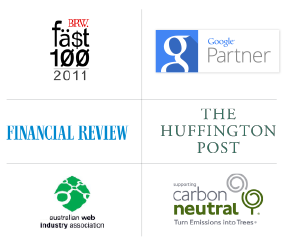 For some examples of the best logo designs we’ve delivered for our clients, click here. 3. From this point you will go back and forth with the designer until you are 100% happy with the logo design and ready to sign off on the artwork.